Lawmakers in California are currently considering a bill that would legally compel Catholic clergy to break the seal of confession to report suspected child sexual abuse, a move that comes in the wake of disgraced former Cardinal Theodore McCarrick’s laicization. Pope Francis’ decision to laicize McCarrick — which is to strip him of his clerical state in most, but not all, circumstances — came after the priest was found guilty by the Catholic Church of sexually abusing minors. Among the 47 kinds of professionals required by state law to report these suspected crimes are police officers, medical doctors, therapists and social workers. Some proponents, like Dan McNevin of the Survivors Network for those Abused by Priests, have argued the exemption for clergy has allowed priests to skirt accountability, claiming during an interview with KPIX-TV that priests can discuss their sexual abuse with other priests without being required to report the conversation to authorities. Could the proposal even work? Theologically, it’s hugely problematic. But it doesn’t really even work legally. The bottom line is this: there’s just no good way to enforce such a proposal. In fact, according to Ed Condon, a canon lawyer and the Washington, D.C., bureau chief for the Catholic News Agency, the only way to impose the California bill would be through entrapment. “You could only ever see it being enforced in cases of what I’d consider to be effective entrapment, which is people going in, telling a priest in confession, waiting to see if he does anything about it and if he doesn’t and he holds to the seal of confession, going to the authorities and reporting him for not doing so,” Condon told Faithwire. And in response to the suggestion priests use the seal of confession to, in some way, sidestep legal accountability for their actions, particularly when it comes to sexual abuse, Condon said such a scenario is very unlikely. “If you’re deliberately seeking out other priests who you believe or know share your same sin, the idea being that you’ll all be complicit in each other’s sins, then that’s not a true act of contrition, so the sacrament isn’t valid, so why would they bother in the first place?” he explained. Now, setting aside the legal troubles of such an amendment, the theological issues here are so enormous they’re impossible to ignore. As Condon said, the theology of the confessional is “just not up for negotiation.” The bedrock principle of the Catholic faith is the forgiveness of sins through repentance, and for the government to wiggle its way into that sacred act is simply not an option. 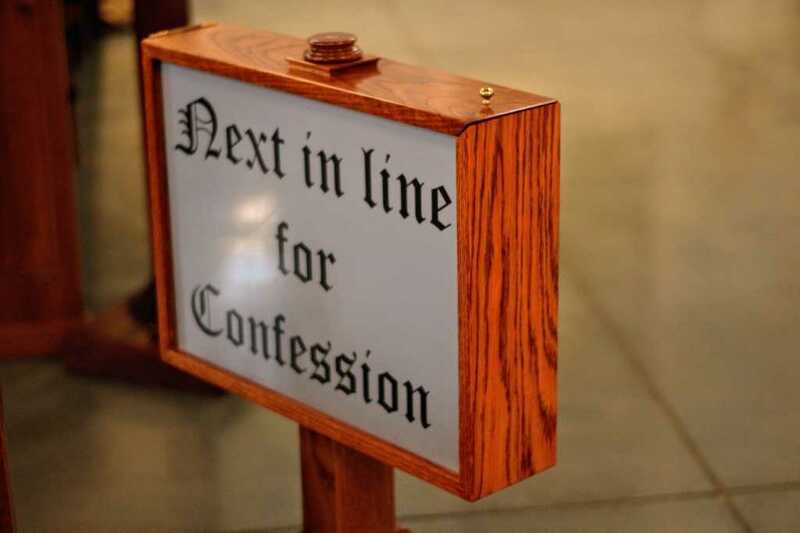 “Every priest I know would willingly go to jail rather than violate the seal of confession,” Condon said, noting any priest who breaks the seal of confession would, according to canon law (c. 1388), face immediate excommunication. There’s a reason the Catholic Church takes the sacrament of confession so seriously. According to Catholic doctrine, believers are coming to confession to approach Jesus (for whom the priest serves as an earthly representative) for the forgiveness of their sins.